Nasogastric Feeding Tubes are passed through the nose, the nasopharynx and esophagus to the stomach. 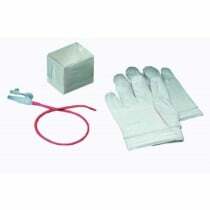 Also called Nasal Feeding Tubes, Ryles Tubes or NG Tubes, these thin items deliver nutrition by pumps or bolus (gravity) intermittently or continuously. Weighted tubes simplify placement so the tube stays put during usage. However, special medical conditions may make unweighted tubes a better fit. 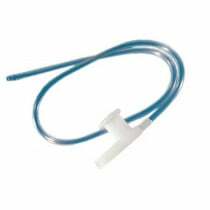 For the nasogastric intubation process (tube insertion) your doctor may direct you to a coated NG tube because they ease insertion. Kangaroo Nasogastric Feeding Tubes with a Standard Tip features Hydromer hydrophilic (moisture-activated) lubricant for easier insertion. 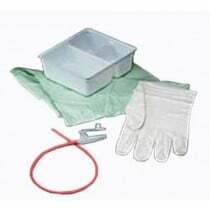 The Argyle Indwell Polyurethane Nasogastric Feeding Tubes are made from heat-sensitive, polyurethane material that softens at body temperature and remains flexible for prolonged use. Select tubes, such as the Corflo-Ultra Nasogastric Feeding Tube with Stylet, have anti-clog designs to ensure seamless performance. Others, such as the Kangaroo Nasogastric Feeding Tube, carry Y-tube ports. These are able to deliver medicine and nutritional supplements without disconnecting the tube and pump set. Most tubes are marked to aid with intubation, enabling you to easily follow doctor's intubation instructions.